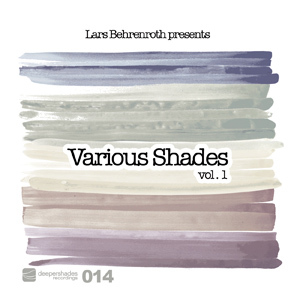 For the 14th release and the first installment of the new VARIOUS SHADES series, LARS BEHRENROTH of Deeper Shades of House & Deeper Shades Recordings handpicked and compiled exclusive music by G.FAMILY and KAGISO "KAYGEE" PITSONG (South Africa), JOHANNES ALBERT (Germany), THE OFFSETTERS (France), MICROPHUNK (Estonia), YOTAM AVNI (Israel) & PETEBLAS (Portugal). Deeper Shades, one of the trendsetting labels for deep house music, has put together a slammin' seven track EP featuring music from G. Family and Kagiso 'Kaygee' Pitsong (both South Africa), The Offsetters (France), Yotam Avni (Israel), PeteBlas (Portugal), Microphunk (Estonia) and Johannes Albert (Germany). Each of these artists offers a prime example of deep house, with the styles ranging from groovy and melodious to spaced-out moods to techy and hypnotic, and even deepest afro house. A truly global journey into the various shades of deepest house. Highly recommended.